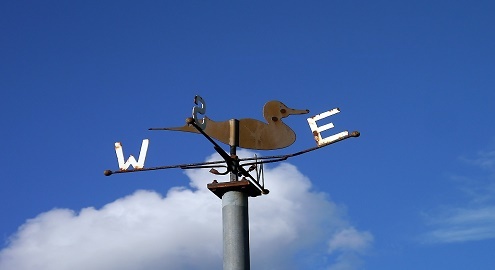 The SRNWP (Short Range Numerical Weather Prediction) Working Group was established in 1993 on the basis of the already existing EWGLAM (European Working Group on Limited Area Modelling) network. Since that time the SRNWP project is the main vehicle for the cooperation between the European limited area modelling consortia (the main developing entities of short range numerical weather prediction models). These numerical weather prediction consortia are the ALADIN, COSMO, HIRLAM, LACE projects and the UK Met Office. The C-SRNWP (“C” stands for the coordination) Project has been working under the EUMETNET project since 2000. The main aim of the C-SRNWP Programme is to foster the efficient exchange of information between the Project Participating Members and across the European limited area modelling consortia related to scientific, technical as well as operational aspects of NWP. The main vehicle of this information exchange is the yearly EWGLAM/SRNWP Meeting, the scientific program of which is compiled by the C-SRNWP Programme Manager and the Expert Teams of the Programme. 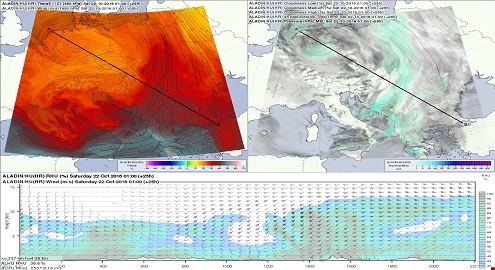 The C-SRNWP Programme is also playing a coordinating role between the European LAM NWP community and other EUMETNET projects, particularly with EUCOS on observation impact studies, with OPERA on the possible re-distribution of radar volume data for data assimilation purposes and with EMMA on the best exploitation of NWP products for severe weather warnings. An evident collaboration is also taking place with the ASIST and EPS-II Projects. The Programme is responsible for an intensified collaboration with ECMWF (participation as observer on the ECMWF Scientific Advisory Committee) and EUMETSAT, and promotes contacts with non-European NM(H)S’s and institutions. The current phase of the C-SRNWP Project started in January 2013 and will last until end of 2018. The Project Coordinating Member is the Hungarian Meteorological Service. The Project Manager is Mr Balazs Szintai from the OMSZ. The inter-consortia cooperation is stimulated by a part-time coordinator (Project Manager) and realised within the activities of the Expert Teams (ET). The activities under the SRNWP Project and the work of the Project Manager is supervised by the SRNWP Advisory Expert Team. 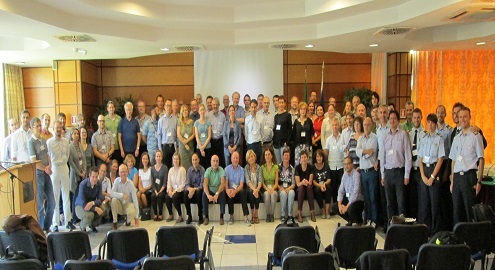 Traditionally the entire SRNWP group meets once per year (early autumn), where the annual “business” meeting is held in conjunction with the annual EWGLAM meeting. More details about the Project can be found on the C-SRNWP webpage.